sudden urge to vacuum & clean your carpets! Dirtier Than Your Toilet Seat! Did you know that your carpet could contain up to 4 times its weight (or maybe more) in dirt, dust, mites, dead skin cells, pet hair, urine, bacteria, mold, and other impurities?! You might also be surprised to learn that the air blowing out of the back of your vacuum cleaner could be extremely dirty. A study showed it could be one of the 5 dirtiest places in your home. So before you switch on your vacuum cleaner, make sure to check & clean the filter. Otherwise, you could be pumping dust, dirt, and pollen back into your room, & back onto the carpets you just cleaned! The next time you go to replace your vacuum, look for one with a hospital-grade HEPA filter to ensure fine dust and dirt particles are fully removed. Although no-one wants to think about a mountain of dirt, dust, mites and other nasties buried in their carpet, it is important to make sure your carpets are kept clean; especially if your kids or someone else in your family has allergies. House dust is the number one cause of allergies, and just 0.000001g of an allergen is enough to trigger a reaction. recommends having your carpets professionally cleaned every 12-18 months; however, they will need doing so more often (every 6 – 12 months) if you have kids, pets or allergies. 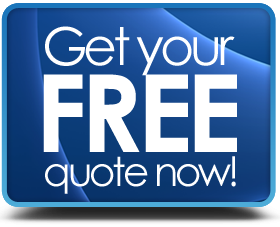 If you are one of the 4 out of every 10 people who has never had your carpet professionally cleaned or it’s been a year or more since the last visit, it might be time to give us a call and schedule with a qualified, reliable and professional carpet cleaner to make sure your carpets are completely clean, free of impurities, and not comprising your family’s health.